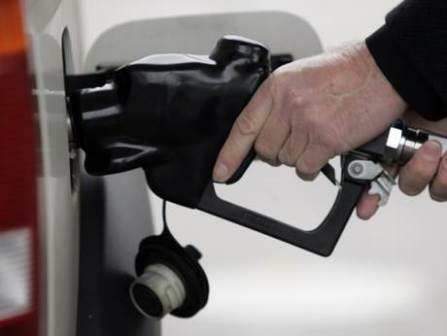 The price at the pump for premium gasoline topped $3 per gallon in much of the US over the past few weeks, which is surprising to consumers but not to analysts of the world’s oil markets. From its local low two years ago, the price of oil has more than doubled. As with any market, where you stand on this price increase depends on where you sit. Higher oil prices buttress the fortunes of producers abroad and at home. The International Monetary Fund upgraded the GDP growth outlook of all six of the top 10 oil producers that were shown separately in its 2018 forecast update, and the projected growth of world trade volumes was raised half a percentage point this year and next. Increased oil revenues improve the fiscal positions of most producing economies, and some have taken advantage of global investors’ hardier appetite to issue sovereign debt. In the US, the five states with the largest gains in oil production this decade recorded employment growth of 2.75 per cent in 2017, double the national average. Meanwhile, the number of oil rigs nationwide increased by roughly 50 per cent. At the same time, a doubling of energy costs takes a significant bite out of US households’ budgets, with energy costs directly accounting for about 6.5 per cent of consumer spending. Even more problematic, this is a regressive tax, disproportionately draining lower-income households’ discretionary spending power. Last year, energy represented 8.7 per cent of spending by the bottom 20 per cent of households, compared to 4.9 per cent for the top quintile. Moreover, the bottom group lacks net assets to tide them over bad outcomes. This tax effect partly underlies the robust association between spikes in world oil prices and US economic downturns documented by James Hamilton of the University of California San Diego. Hamilton’s sobering results show that, over the long sweep of history, every recession but one was preceded by an increase in oil prices, and every oil market disruption but one was followed by a recession. But that does not mean that we should hunker down and await a downturn. As already noted, the oil price rise has been associated with an uptick in growth, and, whereas the events Hamilton examined related more to supply disruptions, the story of the past two years represents a combination of supply and demand forces. A weaker dollar increases the purchasing power of US trading partners, some of which spills over to increased demand for energy. Non-US oil producers sell a good denominated in dollars but consume a basket of dollar and non-dollar items. For them, a weaker US dollar lowers the price of exports relative to imports, and so they restrict supply. The scissors close with more demand and less supply, implying a higher dollar price of oil. The decline in the dollar’s exchange rate seems to have gathered momentum, in part because the person who has his signature on US currency, Treasury Secretary Steve Mnuchin, seems unperturbed by its weakness. If it continues, could the result be a spike in energy costs? Our tentative answer is no, for three reasons. First, the dollar has depreciated against most currencies, but less so against those of important emerging-market partners, such as China. Second, some of the increase in oil prices is apparently due to supply restraint by the members of the Opec and their friends of convenience (particularly Russia). Not accidentally, oil prices started their ascent with the production curtailment by “Opec+” at the end of 2016, and now seem high compared to other industrial commodities. Further dollar depreciation eroding supply and enhancing demand might just change that. Saudi Arabia dearly wants a stable, balanced market for petroleum in advance of the sale of a 5 per cent stake in Saudi Aramco, the national oil company. For a healthy market consistent with longer-run capital investment, an oil price that is too high can be as challenging as one that is too low. In such circumstances, officials in Opec+ may well jump on the chance to expand supply while maintaining prices in their current channel. Third, when it comes to supply, do not look exclusively abroad. The increase in US production, thanks to technological advances in shale oil production, has been breathtaking. The US is on track to pump more oil this year than at any time in its history. Nonetheless, domestic producers have been moderate thus far in ramping up supply, reportedly owing to their equity owners’ desire for more profit and less capital spending. But production technology advances, and higher prices beckon. On balance, it is likely that the economywide effects of the energy shock, though unpleasant, will not derail growth. We are tentative, however, because commodity markets are volatile. In recent work with Christoph Trebesch of the Kiel Institute, we counted more than twice as many boom-bust cycles in commodity prices than in capital flows since 1820. The global economy looks to be riding a roller-coaster.